The NEW Arbonne RE9 Advanced Prepwork Collection just launched, and I was so excited when I opened up this package! This refreshing new collection gently reveals glowing, healthy skin and leaves it soft, smooth, supple and hydrated. Each of the products can be purchased separately, or with a substantial savings when purchased as a complete set. Arbonne RE9 Advanced Prepwork Cleansing Polish ($32.00 for 4 oz. 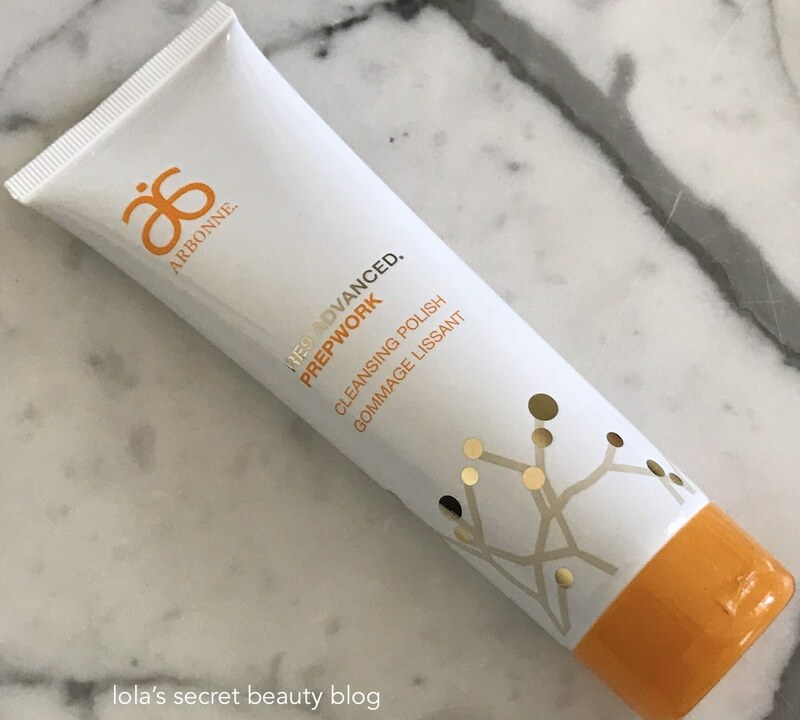 from Arbonne): This cleansing polish, which is a 2-in-1 scrub and cleanser, forms a light gel-based lather that gently removes dad skin cells to reveals silky smooth, soft and luminous skin. The exfoliating particles are uniform, and without jagged edges, and neither dry out, nor irritate the skin. This cleansing polish has no detectable aroma. A fresh start to your daily regimen. Formulated with exfoliants from lingonberry and apricot to gently buff away dull surface skin cells, makeup and excess oil, leaving skin feeling fresh and looking brighter. Gentle enough for use twice a day. Part of the proceeds from Prepwork goes to supporting the Arbonne Charitable Foundation®’s mission to empower teens. Directions: Gently massage in circular motions. Rinse. Ingredients: Aqua/Water/Eau, Glycerin, Cocamidopropyl Hydroxysultaine, Lauryl Glucoside, Acrylates Copolymer, Sodium Lauryl Sulfoacetate, Prunus Armeniaca (Apricot) Seed Powder, Hydrolyzed Pea Protein, Glyceryl Undecylenate, Xanthan Gum, Helianthus Annuus (Sunflower) Seed Oil, Raspberry Seed Oil/Tocopheryl Succinate Aminopropanediol Esters, Vaccinium Vitis-Idaea Fruit Extract, Pyrus Malus (Apple) Fruit Extract, Passiflora Incarnata Fruit Extract, Hylocereus Undatus Fruit Extract, Terminalia Ferdinandiana Fruit Extract, Niacinamide, Ethylhexylglycerin, Hexylene Glycol, Sodium Carbonate, Sodium Sulfate, Gluconolactone, Calcium Gluconate, Caprylhydroxamic Acid, Sodium Chloride, Citric Acid, Sodium Hydroxide, Caprylyl Glycol, Phenoxyethanol, Potassium Sorbate, Sodium Benzoate. Arbonne RE9 Advanced Prepwork Gel Eye Masks ($50.00 for 60 gels masks from Arbonne): These soothing and cooling gel eye masks, which boast an antioxidant-rich formula, de-puff the delicate skin below the eye while softening the appearance of fine lines and they offer serious hydration. If you are a fan of eye masks, these are a must-try! These gel eye masks have no detectable aroma. Everyone will be jelly when they see these fun eye masks! They soothe and cool on contact, transforming tired, puffy-looking eyes into wide-awake, “I’m a morning person” eyes. Plus, our moisture-boosting superfood cocktail of antioxidants, omegas and phytonutrients help soften the look of baby lines around the eyes. Part of the proceeds from Prepwork goes to supporting the Arbonne Charitable Foundation®’s mission to empower teens. Directions: Use enclosed spatula to lift gel patch. Apply onto clean, dry under-eyes. Pat remaining serum into skin. Ingredients: Aqua/Water/Eau, Glycerin, 1, 2-Hexanediol, Niacinamide, Agar, Pyrus Malus (Apple) Fruit Extract, Terminalia Ferdinandiana Fruit Extract, Vaccinium Vitis-Idaea Fruit Extract, Euterpe Oleracea Fruit Extract, Fragaria Chiloensis (Strawberry) Fruit Extract, Rubus Fruticosus (Blackberry) Fruit Extract, Rubus Idaeus (Raspberry) Fruit Extract, Vaccinium Angustifolium (Blueberry) Fruit Extract, Vaccinium Macrocarpon (Cranberry) Fruit Extract, Vaccinium Myrtillus Fruit Extract, Ceratonia Siliqua (Carob) Gum, Carrageenan, Caffeine, Allantoin, Sucrose, Hydrolyzed Pea Protein, Sodium Chloride, Gallyl Glucoside, Propyl Gallate, Epigallocatechin Gallatyl Glucoside, Xanthan Gum, Polysorbate 80, Carbomer, Citric Acid, Gluconolactone, Calcium Gluconate, Dehydroacetic Acid, Phenoxyethanol, Potassium Sorbate, Sodium Benzoate, Mica, Titanium Dioxide (CI 77891), Iron Oxides (CI 77491), Benzyl Alcohol. Arbonne RE9 Advanced Prepwork Hydrating Dew Cream ($46.00 for 1.7 oz. 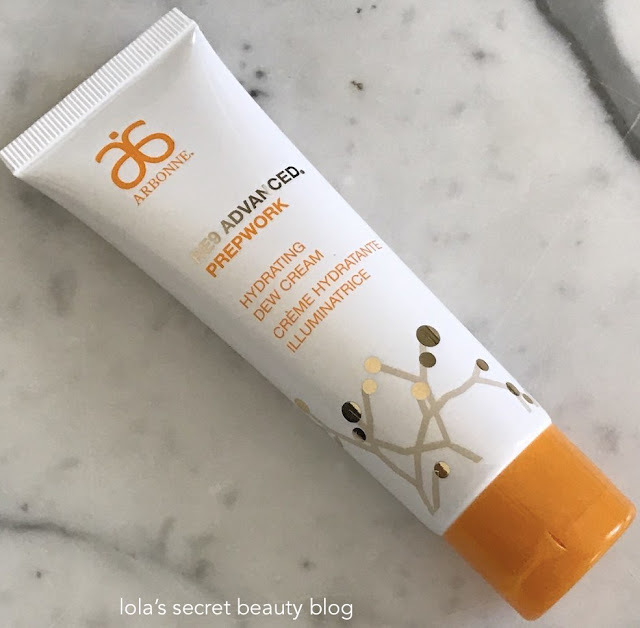 from Arbonne): This lightweight, and fast absorbing, cream leaves skin very soft and smooth and ultra-hydrated. Its finish is neither too matte, nor too dewy– instead it is somewhere in between the two. This cream has no discernible scent. Refreshing like early morning dew. 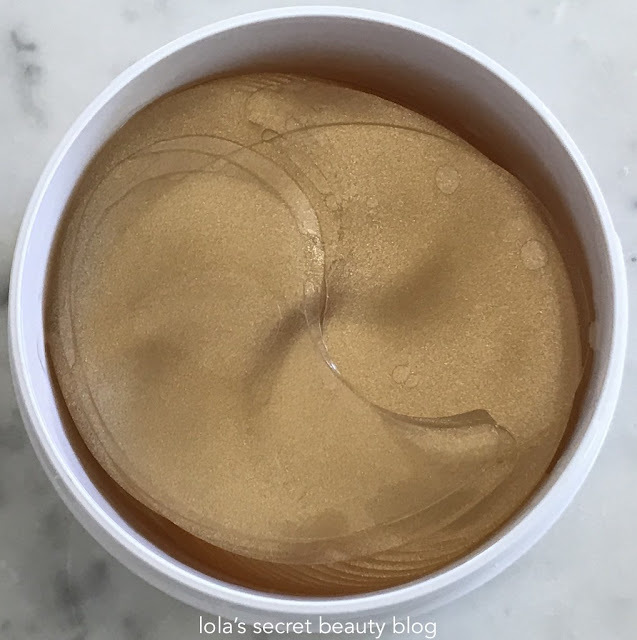 Soak your skin in airy hydration with this unique cream-to-gel formula that moisturizes the lipid barrier, with none of the shine and all of the softness. 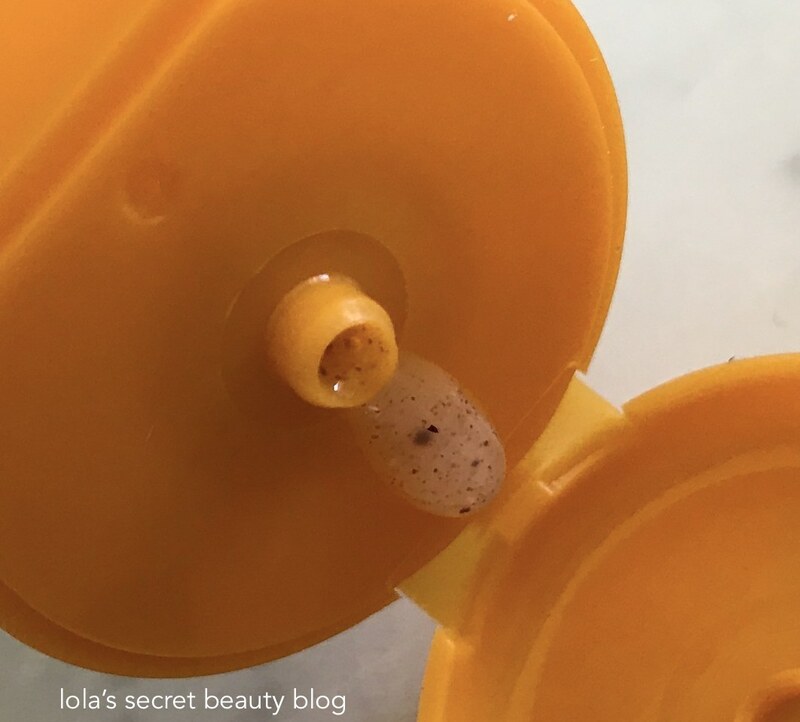 That’s thanks to lentil seed extract, which helps mattify skin, and apple fruit extract, which helps immediately increase skin hydration protecting it from dryness. Part of the proceeds from Prepwork goes to supporting the Arbonne Charitable Foundation®’s mission to empower teens. Directions: Apply onto cleansed skin. Ingredients: Aqua/Water/Eau, Isononyl Isononanoate, Caprylic/Capric Triglyceride, Glycerin, Pyrus Malus (Apple) Fruit Extract, Steareth-21, Steareth-2, Dimethicone, Cetyl Alcohol, Stearyl Alcohol, Ammonium Acryloyldimethyltaurate/Beheneth-25 Methacrylate Crosspolymer, Xanthan Gum, Vaccinium Vitis-Idaea Fruit Extract, Raspberry Seed Oil/Tocopheryl Succinate Aminopropanediol Ester, Lens Esculenta (Lentil) Seed Extract, Salvia Sclarea (Clary) Extract, Terminalia Ferdinandiana Fruit Extract, Ficus Carica (Fig) Fruit Extract, Musa Paradisiaca (Banana) Fruit Juice, Hydrolyzed Pea Protein, Niacinamide, Polymethyl Methacrylate, Propanediol, Ammonium Acryloyldimethyltaurate/ VP Copolymer, Sodium Hyaluronate, Gluconolactone, Calcium Gluconate, Sodium Carbonate, Citric Acid, Lactic Acid, Sodium Hydroxide, Sodium Chloride, Ethylhexylglycerin, Phenoxyethanol, Sodium Benzoate, Potassium Sorbate, t-Butyl Alcohol. Arbonne RE9 Advanced Prepwork Soft Focus Veil Broad Spectrum SPF 30 Sunscreen ($44.00 for 1 oz. 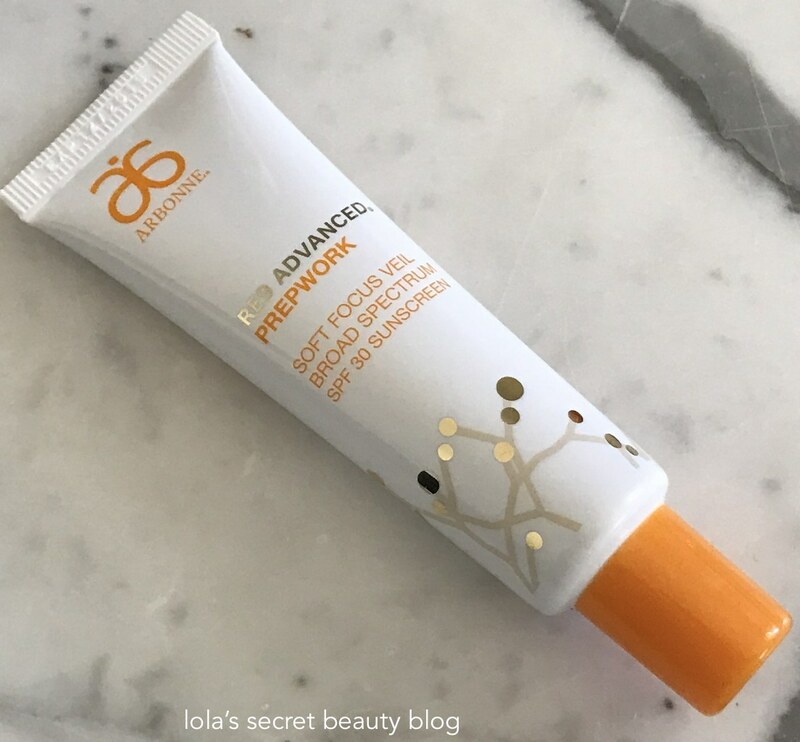 from Arbonne): This lightly tinted sunscreen, which imparts no color upon application, offers 100% mineral SPF 30 protection, but it also serves as a very effective primer that extends the wear-time of makeup. 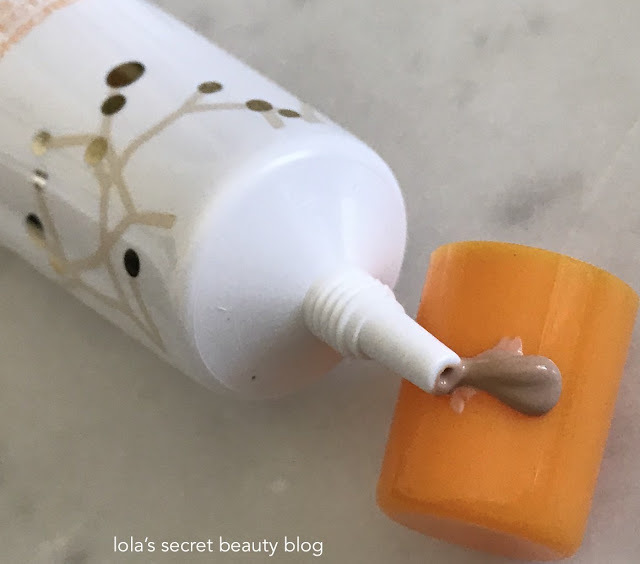 It offers a soft-focus finish to optically blur the appearance of fine lines and enlarged pores, and it creates the perfect even canvas for foundations and tinted moisturizers. This sunscreen has no discernible scent. Your skin, but better. This breathable, lightweight veil creates a photo-filtered, soft focus effect to blur the look of pores and baby lines. 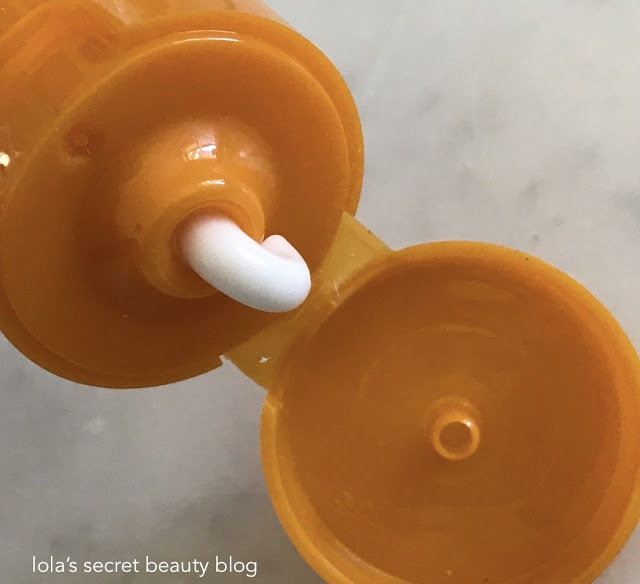 This natural-looking tint — containing 100% mineral-based sunscreen — can be worn alone or under makeup as it blends effortlessly to compliment a spectrum of skin tones, perfecting the indescribable je ne sais quoi glow. Part of the proceeds from Prepwork goes to supporting the Arbonne Charitable Foundation®’s mission to empower teens. Directions: Squeeze a dime-size amount into palm of hand. Dab on cheeks, forehead, nose and chin, then blend outward. For sunscreen use, apply liberally and evenly 15 minutes before sun exposure. Reapply at least every two hours. Use a water-resistant sunscreen if swimming or sweating. Ingredients: Active Ingredients: Titanium Dioxide 2.5%; Zinc Oxide 7.2%. Inactive Ingredients: Water, Ethylhexyl Palmitate, Caprylic/Capric Triglyceride, Cyclopentasiloxane, Diisopropyl Sebacate, Isononyl Isononanoate, Polyglyceryl-6 Polyricinoleate, Polymethylsilsesquioxane, Glycerin, Argania Spinosa Kernel Oil, Polyglyceryl-2 Isostearate, Tocopheryl Acetate, Silica, Caesalpinia Spinosa Fruit Extract, Vaccinium Vitis-Idaea Fruit Extract, Kappaphycus Alvarezii Extract, Terminalia Ferdinandiana Fruit Extract, Chlorella Vulgaris Extract, Aloe Barbadensis Leaf Juice Powder, Raspberry Seed Oil/Tocopheryl Succinate Aminopropanediol Esters, Olive Oil Decyl Esters, Hydrolyzed Pea Protein, Sea Salt, Squalene, Saccharide Isomerate, Bisabolol, Isopropyl Myristate, Hydrogenated Castor Oil, Xanthan Gum, Gluconolactone, Calcium Gluconate, Hydrated Silica, Tocopherol, Sodium Chloride, Magnesium Stearate, Disteardimonium Hectorite, Stearalkonium Hectorite, Propylene Carbonate, Polyhydroxystearic Acid, Bentonite, Alumina, Isopropyl Titanium Triisostearate, Lactic Acid, Citric Acid, Phenoxyethanol, Potassium Sorbate, Sodium Benzoate, Mica, Iron Oxides (Ci 77491, Ci 77492, Ci 77499), Titanium Dioxide (Ci 77891). 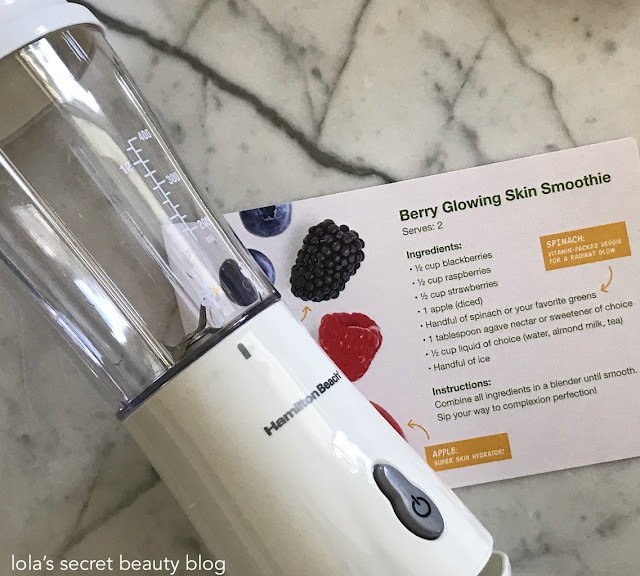 Please enjoy the Berry Glowing Skin Smoothie recipe provided courtesy of Arbonne. Overall Assessment: This refreshing collection is perfect for the summer, and a wonderful way in which to effortlessly achieve glowing skin. $155.00 for the NEW! RE9 Advanced Prepwork Set from Arbonne (Unaffiliated Links). Every product in this collection appeals to me. And buying it altogether makes it a true bargain! All of them appeal to me as well, Allison! It is definitely worth purchasing as a set because of the savings, but only if one is reasonably certain that they will use all of the products, otherwise it's probably better to buy a la carte. Love most of the ingredients in these products. Nice that you can buy them separately and as a set. Agreed. It only makes sense to buy them as a set if you know that you will really use everything– otherwise it is much better to purchase a la carte! I love Arbonne products, but hate the pushy reps. I will have to find someone in my area to give me some samples - this line sounds very lovely for summer! I love their products too! You can avoid their reps altogether buy purchasing directly through the company website! This collection sounds amazing. 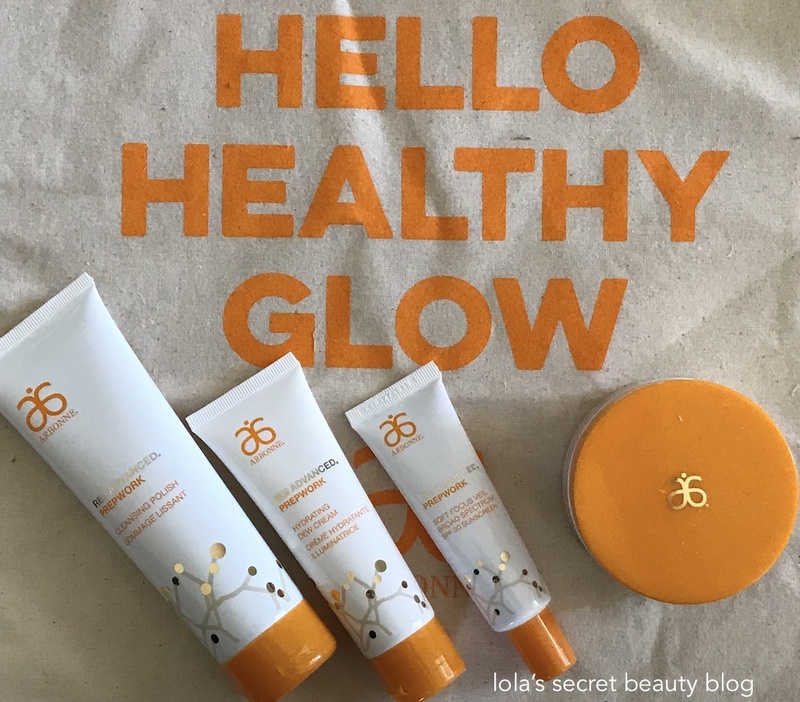 I love Arbonne but I haven't tried anything from them in a while! This collection is really fantastic– in fact, it is my favorite range of products from the brand. 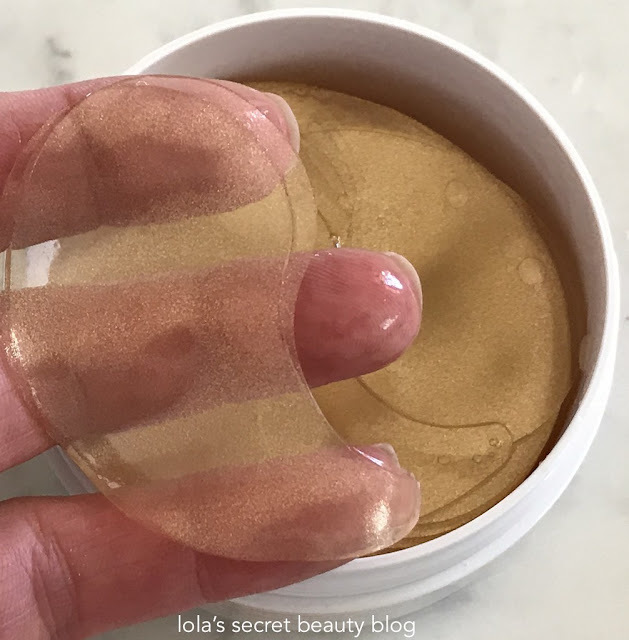 Those gel masks look like they would be right up my alley! I don't like the sensation of paper mask in my undereye area, gel feels so much more comfortable. The gel masks gel wonderful, and they are so much more plush, comfortable and cooling than paper masks. I'm happy to see how much Arbonne is changing things. My niece sold the line for a while so I'd buy quite a bit. I really haven't tried anything from them lately but these look great. This range is my favorite, so far. They really make some fantastic products! I agree, Man. These masks are a real treat to use! The gel masks are really fantastic, and definitely worth trying! This does sound like a wonderful collection of products. I haven't used Arbonne skincare in years and years. The price point for this set is great. This really is a wonderful collection, and definitely worth trying! I agree that the price point for the set is quite good. I really like the sound of that gel scrub! I'm all about regular exfoliation! I am really curious to try the gel scrub. The gel eye masks look amazing. They are as amazing as you imagine! They feel amazing against the skin! OMG I want those eye masks! They are awesome, Jamie! They feel amazing on the skin! looove everything about Arbonne! These products do what they promise to do and are not harmful to your health! The tined veil and gel eye pads are amazeballs! I love those gel eye pads as well! They are so refreshing!